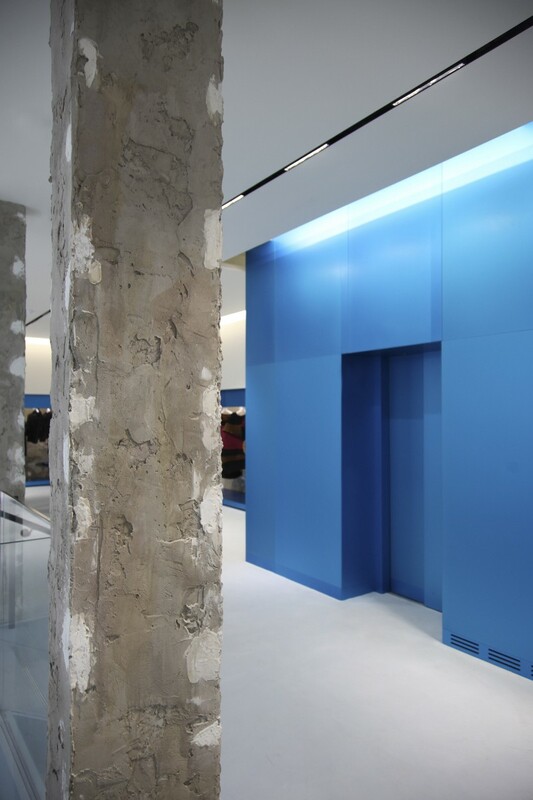 unpredictable future and old history which has been cultivated for long. 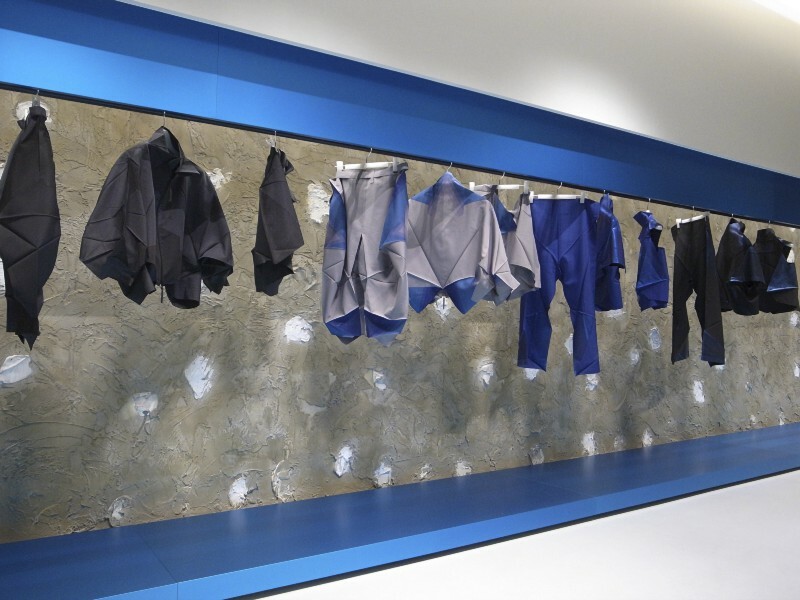 and the aluminum dyed blue like a fabric. 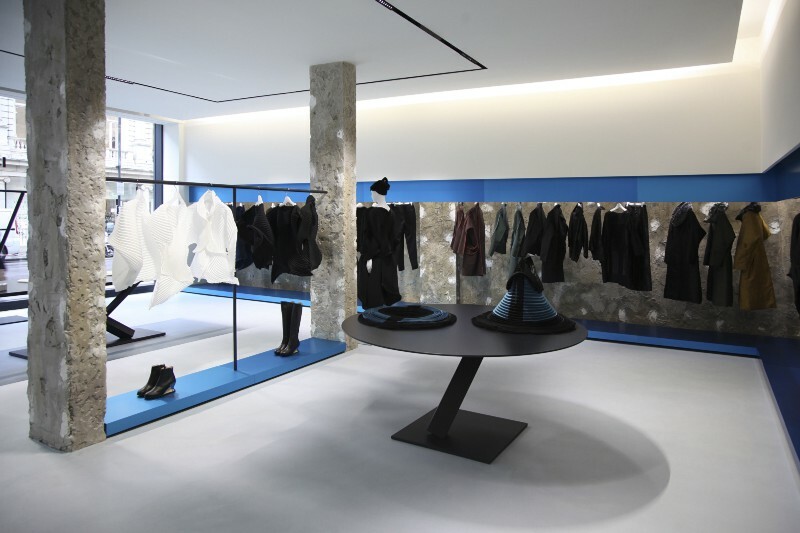 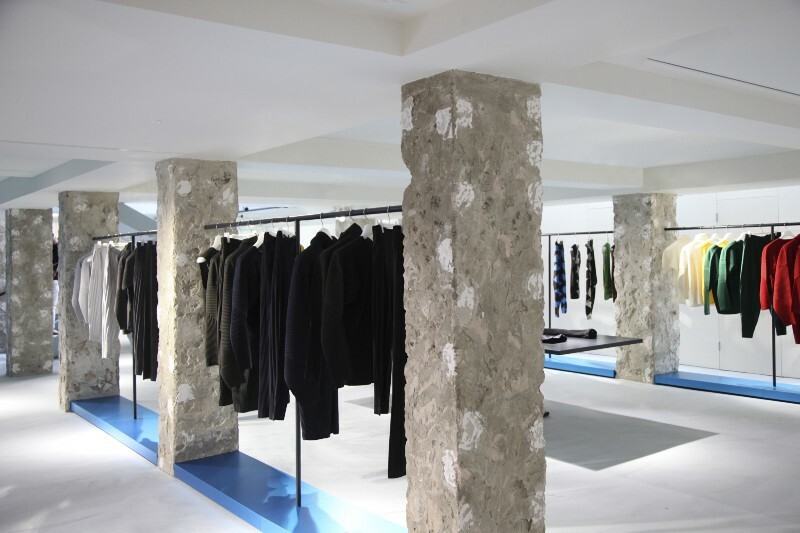 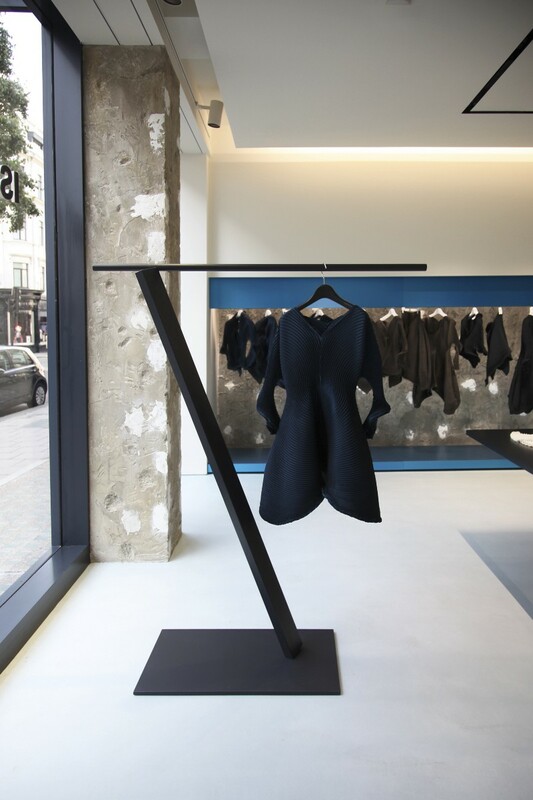 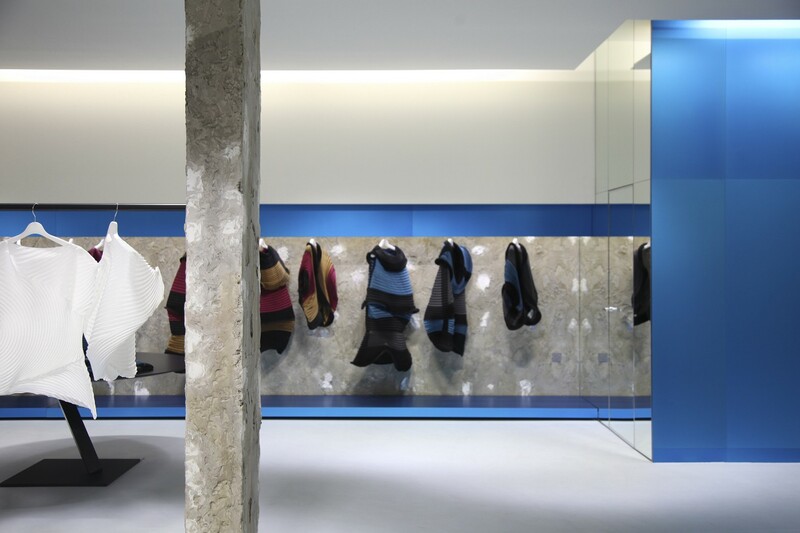 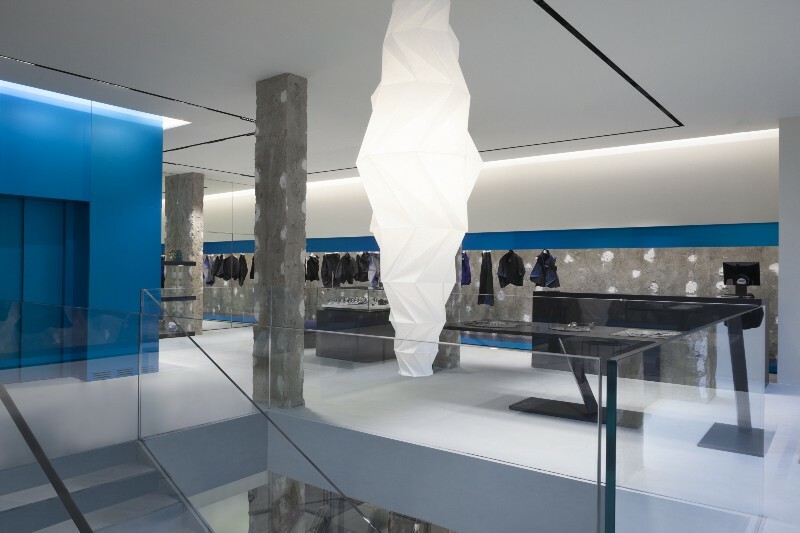 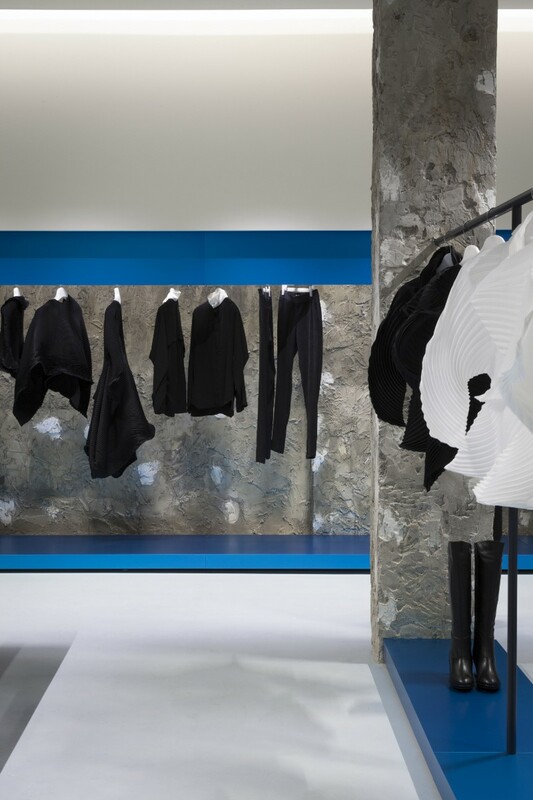 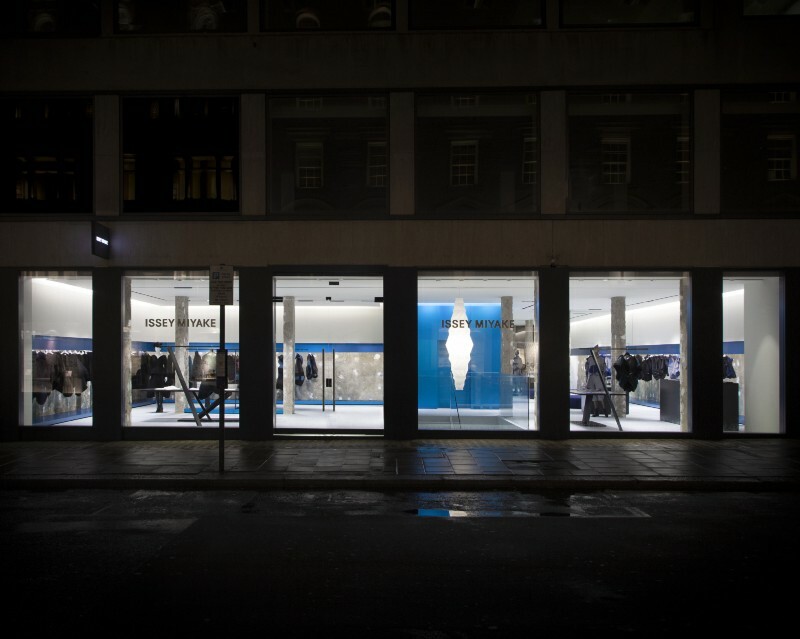 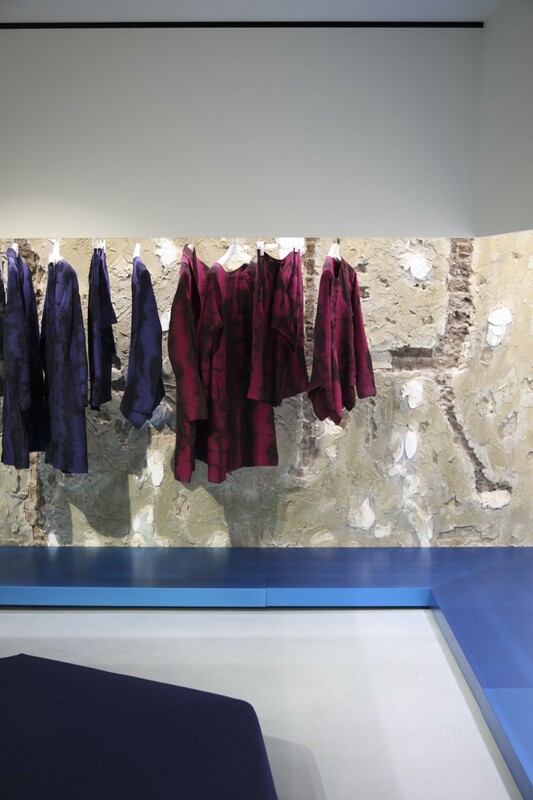 As like Issey Miyake’s creation does, the idea of combination of technology and hand work is appeared in the store.